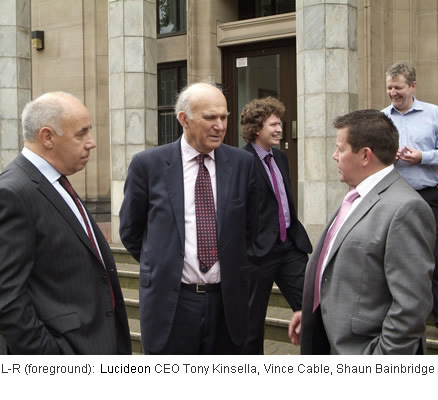 Dr. Vince Cable, Secretary of State, Business Skills and Innovation, visited our sister company, Lucideon, today, to hear all about the energy-saving kiln project that they've received Regional Growth Funding for. "We had an interesting discussion on the topic of independent assurance and how it enhances the credibility of annual and sustainability reports. "At Lucideon, we feel that Mandatory Carbon Reporting will create a level platform for carbon reporting across industry." Click here for more information about independent verification for Mandatory Carbon Reporting.